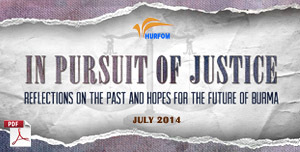 HURFOM: “We didn’t collect latex from our rubber trees for a long time. In 2016, the military [Burma Army Artillery Battalion No. 315] called us and said that we had to pay tax if we want to continue working in our plantation. We were already worried [about the situation] at that time. Our plantation was near to the military base and we had to worry about the possibility of [our land] being confiscated. 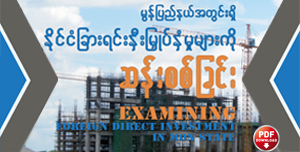 In the very first year , we had to pay more than 200,000 kyat (US $125.50). 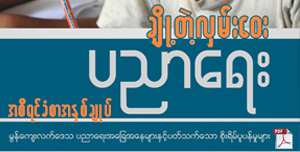 In the next year, the tax increased up to about 500,000 kyat (US $313.63). We had been worried as we didn’t know what would happen in the upcoming years. In 2018, the military said they confiscated our plantation. We were in trouble. 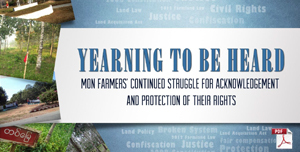 Starting from that time, we’ve been struggling to get our land back. 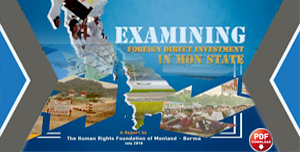 We filed reports to the Mon State [government] and also to the Naypyidaw [Union government]. But there was no change. Soon after the confiscation, the military chopped down the rubber trees and sold our plantation to the others. 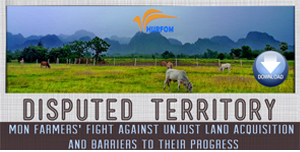 We were unhappy to hear the news and organized other land victims to fight for our land again. 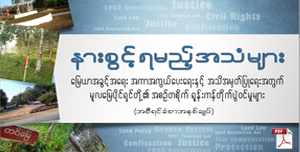 Both the [Mon State] parliament and Land Investigation Commission have never done us a favor. We have struggled for our land for two or three years, and now the new owners have already planted new rubber trees on our plantation. We’ve realized that we must lose our plantation. We’ve suffered a lot. Our plantation is the only one that we relied on. Our livelihood has been in trouble. Even we fought back for our land, there was no improvement. So we can’t organize our friends who also lost their land (to the military). You have to be suffered alone. We have nothing to say. After losing our plantation, we have to do other works for our living. We run a small shop but our living standard is getting low (after losing our plantation). We’re totally in trouble as we realized it was impossible to get our plantation back. When having a plantation, we didn’t need to worry about money. We could earn at least 10,000 kyat (US $6.27) a day. After losing our plantation, we have to struggle for food and suffer from illness as we are unhappy. We have had to suffer a lot because of our bad “Karma”. Now everyone gave up on their plantation. No one talks about fighting to get back their land. We have already used lots of money to get our plantations back. As there has been no improvement, everyone is living in silence.